If i had a nickel for every time someone asked me how could i possibly believe in that… That being a Tarot deck. I don’t believe in it, i know it works – it’s as simple as that. Apropos how exactly does it work – i have no idea and i couldn’t care less; i am equally at loss on how exactly the electricity works, how does my car’s engine run and even the TV – those teeny weeny people in it are equally perplexing to me… which, of course, does not in anyway disturb my watching movie marathons on it, driving a car or whatsoever. If every single mother to be needed to have detailed knowledge of female reproductive system, embryonic development trimester by trimester and how exactly the fetus receives life support from placenta via the umbilical cord – i do doubt that the world’s population would have reached 7 billion. And… some answers one is meant to figure out on their own, i am of no help there. Jungian concept of synchronicity as a meaningful acausal connection between the events – does it for me. I am not sure what’s current stance of academia towards ESP in the West, but what you are thought if you are a PhD candidate at a Russian University (where you need to take four qualification exams in the course of your doctoral studies) is that these phenomena can not be denied albeit there is no scientific explanation for them. 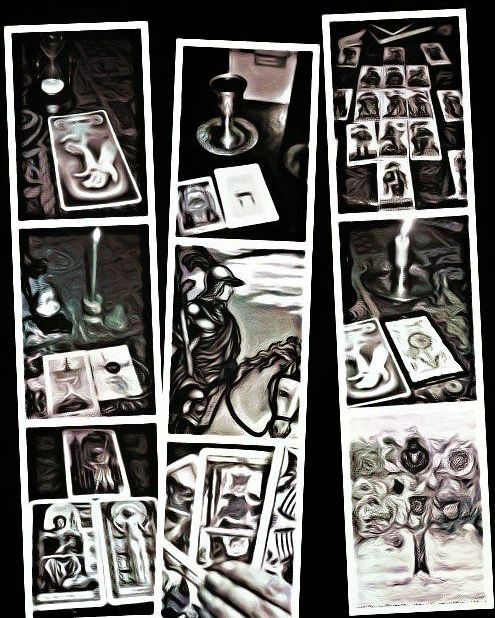 For what i know, most of the people who have honored my work by reading posts at this blog – are Tarot artists, masters and collectors who are way more knowledgeable about this ‘pack of cards‘ than i; in case you stumbled upon this blog while wondering whether its for you… don’t sweat it, if it’s meant for you – you’ll be overwhelmed with an unsaturable thirst for knowledge, an unbelievable desire to read – for yourself and for others and you’ll be given tremendous patience and endurance that it takes to learn this occult discipline. u have a very different kind of blog.and thought process.. need to come back…thanks.. Thank you, Cookie! I love your blog! I am so glad we met! Thank you! I feel the same way deeply. I love this post, very well said! I never thought of myself as a ‘Tarot Artist’ but I find that very fitting! I stumbled uponI your blog when I was searching for tarot cards used during WWII. I LOVE yout site! Super cool topics, and you have such an honest, refreshing approach. I’m actually working on a second site not yet reaady to be open to search engines, seeing as how the “big moment” (December solstice 2012) has already passed. My new site has a whole webpage dedicated to the topic synchronicity with a big old picture of Carl Jung on it, so we have a common interest there, which also caught my eye when I read your post. Of course I would never do it without your permission and would understand either way. Thanks so much for checking out my site and I’m glad we cyber-met too. I look forward to your next post. Have a great day! By all means! I feel honored! I am looking forward to reading your new site!